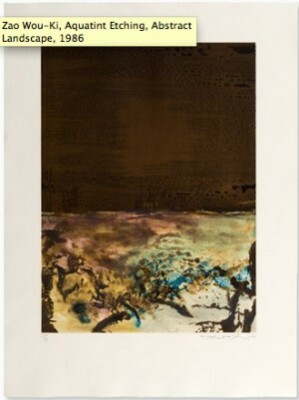 Zao Wou-Ki was born in 1921 in Beijing. 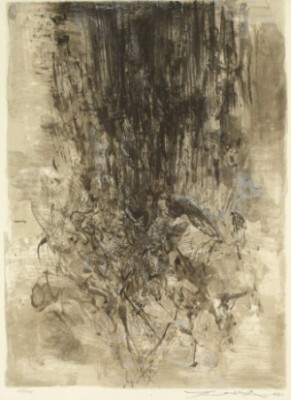 At an early age, he started to work with the traditional Chinese ink painting and calligraphy and studied at the Art Academy in Hangchow, where he later worked as a professor. 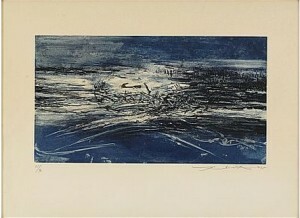 Impressed by the European modernism, he emigrated to Paris in the late 1940s. 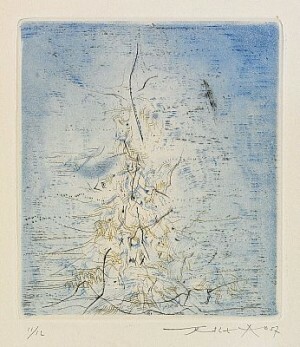 He there became acquainted with artists such as Henri Michaux, Alberto Giacometti and Joan Miró. 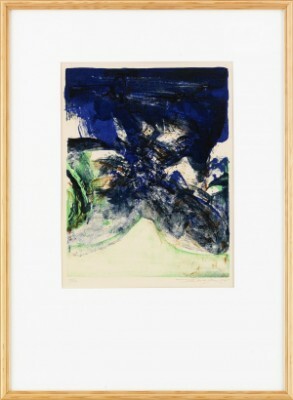 As well, he came in contact with the Art Informel, which further inspired him to create his very own style, which combines traditional Chinese painting with rhythmical abstract subjects. 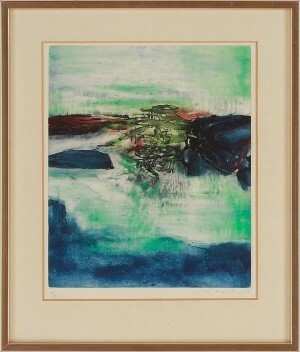 As a result, his paintings are often referred to the ‚Lyrical Abstraction’. 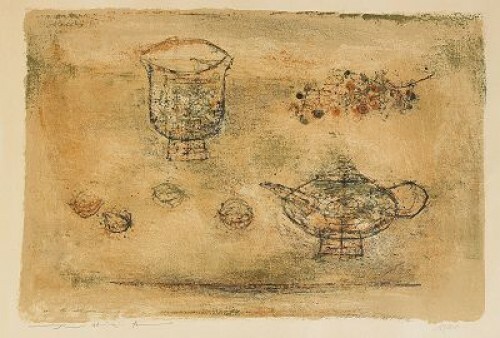 In 1980, he became a professor at the École Nationale Supérieure des Arts Décoratifs. 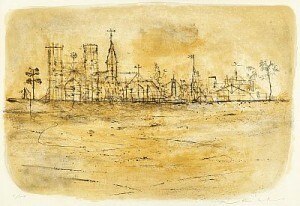 He took part in the Venice Biennale several times, including 1996. 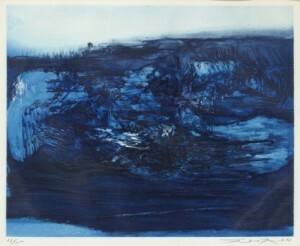 ZAO WOU-KI was born in a cultivated family and studied calligraphy in his childhood. 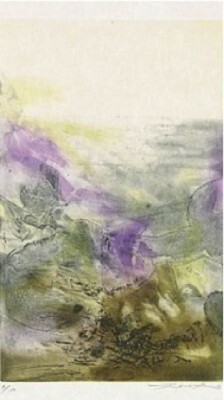 Later, he studied painting in the school of Fine Arts in Hangzhou from 1935 to 1941. He went to the block of Montparnasse in Paris, where he followed Émile Othon Friesz\'s classes. 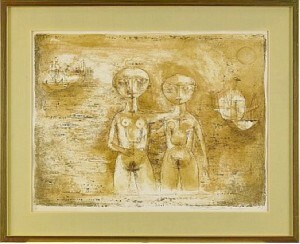 His earliest exhibitions in France were met with praise from Miró and Picasso. 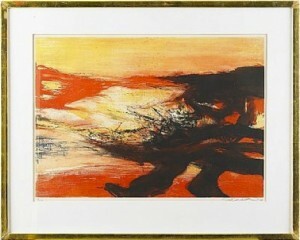 His works, influenced by Paul Klee, are orientated to abstraction. 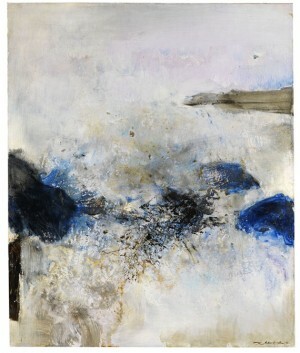 He names them with the date in which he finishes them, and in them, masses of colours appear to materialise a creating world, like a big bang, where light structures the canvas. 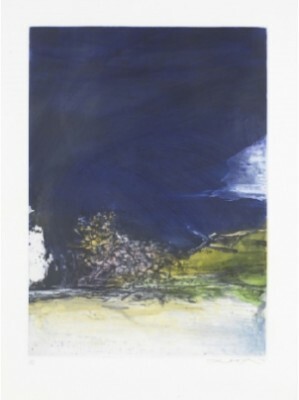 He works often big formats in triptychs and diptychs. 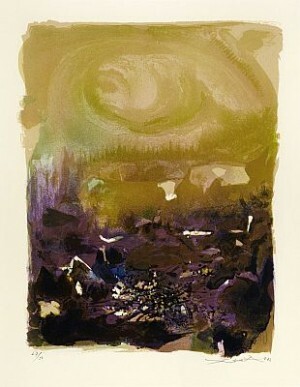 While the style of his works is stylistically similar to the Abstract Expressionists whom he met while travelling in New York, he\'s also influenced by Impressionism. 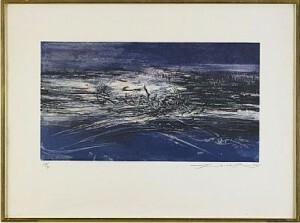 Zao Wou-ki himself has stated that he is particularly enamored with the works of Cézanne and Matisse. 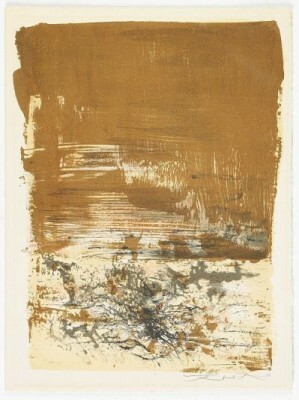 Zao Wou-ki is a member of the Académie des beaux-arts, and is considered one of the most successful Chinese painters alive. 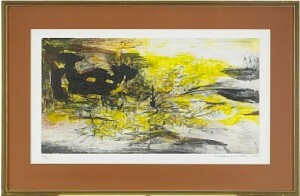 One of his paintings recently sold for a record price equivalent to 2 million USD at the Sotheby\'s in Hong Kong. 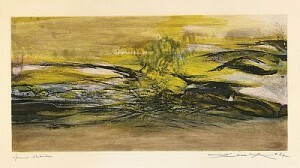 Former French President Jacques Chirac was offered a painting by Zao Wu Ki by his ministers during their last meeting. 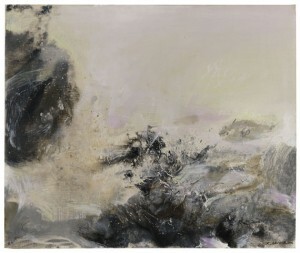 Zao Wou-ki, kinesisk-fransk bildkonstnär född i Peking, Kina. Han studerade måleri vid School of Fine Arts i Hangzhou. År 1948 flyttade han till Paris. Wou-kis konst är att betrakta som abstrakt expressionistisk med en viss påverkan av impressionism. Han målar med starka färger och i stora format och har skapat en rad diptyker och triptyker.